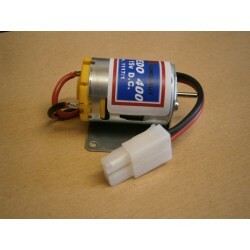 MFA Torpedo 400 Motor 6v-15v Dia: 27.7mm Length 38mm Weight: 66gm Includes: bracket, harness and suppressed. *Generally used for Auxilary functions and small models. Universal coupling for MFA Torpedo 400 Motor Shaft Dia: 2.305mm Output Dia: 4mm Includes: bracket, harness and suppressed. 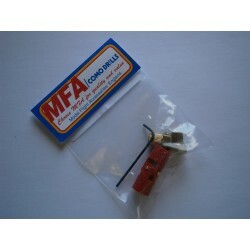 Universal coupling for MFA Torpedo 500 Motor Shaft Dia: 3.175mm Output Dia: 4mm Includes: bracket, harness and suppressed. 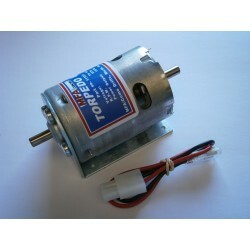 MFA Torpedo 800 Motor 6v-15v Dia: 58.8mm Length 69mm Weight: 500gm 5167 RPM Includes: bracket, harness and suppressed. *Generally used for Auxilary functions and small models. 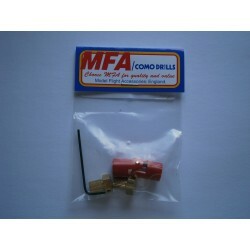 Universal coupling for MFA Torpedo 800 Motor Shaft Dia: 6.35mm Output Dia: 4mm Includes: bracket, harness and suppressed. 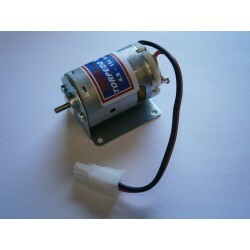 MFA Torpedo 850 Motor 6v-15v Dia: 52.8mm Length 69mm Weight: 500gm 9778 RPM Includes: bracket, harness and suppressed. 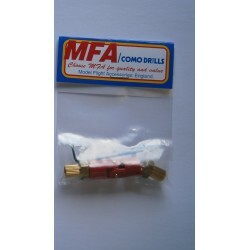 Universal coupling for MFA Torpedo 850 Motor Shaft Dia: 6.35mm Output Dia: 4mm Includes: bracket, harness and suppressed.